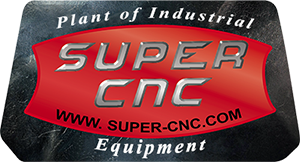 There are two types of rail guides produced by Super CNC Company: with one or two rails. For easier installation two rail guides are more suitable. They have a lightweight aluminum chassis which is more resistant to wear and tear due to the two rails of hardened chrome steel, installed on the sides. 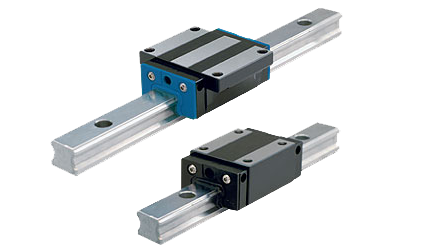 A series of CI linear guides is designed to work in confined spaces and for small loads. A feature of this series is its compactness and lightness, while maintaining high reliability and durability of modules. For larger loads can be used two parallel rails, thus reducing the load on the concentric wheels. With this construction of the guides, load is evenly distributed on the four wheels. The base of the guide is made of anodized aluminum, and the rails are made of hardened chrome steel. Carriage is made of anodized aluminum and has required for mounting holes, and three wheels, two of which are concentric on the ends and one central is concentric to eliminate the gaps. On the outer walls of the guides is a thin line indicating its middle and are marked locations for drilling, to make it easier to carry out the installation. The maximum length of the guides in this series which are available on request, is 6 meters. All the wheels in this series are made in the 2RS version. The system can be supplied with wheels and a stainless steel on request. Free machines delivery to every point of the world! © 2019 Super CNC. All rights reserved.